The build up as you ascend the the mountain, results in a fairly anti-climactic arrival. The long windy road up the 180, supplies dizzying views of the central valley, and much needed relief from the sizzling temperatures below. As I approached the entrance for the first time, I expected immediate Sierra grandeur but instead was met with thick and traditional sierra mountain scenery. I wondered, how many people come this far, check out the visitor’s center, and have no idea what surprise awaits just a few miles ahead. As we continued through the heavily wooded scenery we began the descent into the valley floor. Highway 180 twists and turns until finally we turned a corner and the mountains opened up into a spectacular and rewarding view. Steep granite cliffs descend to a gushing river far below. This canyon is the deepest in the United States, over a mile and a half down! If you are in the drivers seat, prepare for your stomach to turn as you look over the edge. Don’t let your eyes linger too long, one little swerve may send you flying. As we made our way down the roller coaster like road, the loss of elevation dramatically altered the landscape. As we approached the canyon floor, the Ponderosa Pine, Cedar, and groves of Giant Sequoia phased out and the Blue Oak and Chaparral appeared in their place. 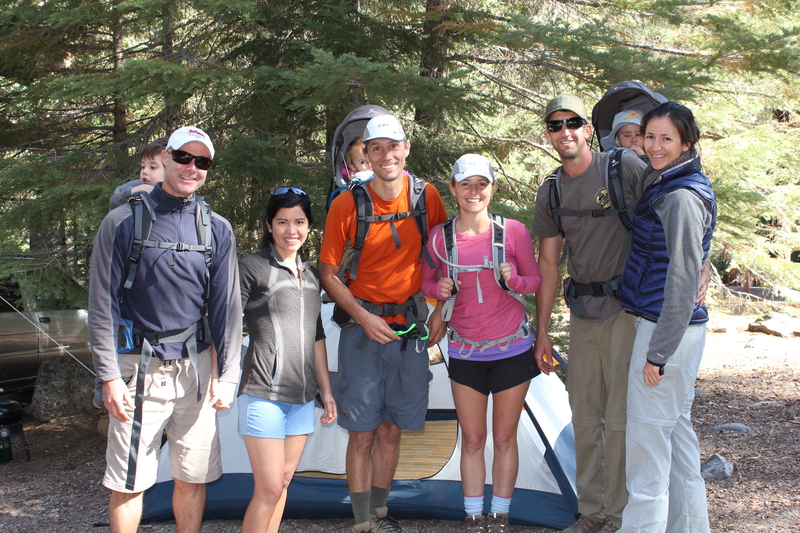 The Cedar Grove camping area lies just a few miles beyond the canyon floor. Cedar Grove is isolated and that’s why we like it. 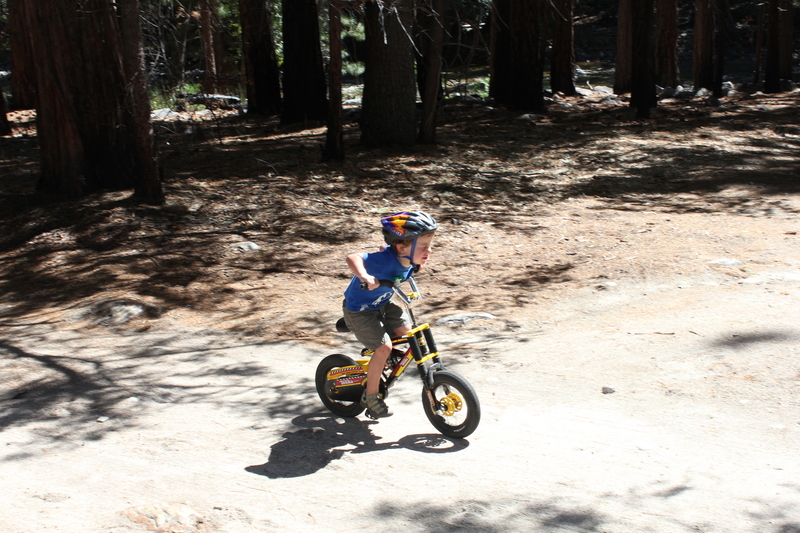 Kids thrive in the outdoors. 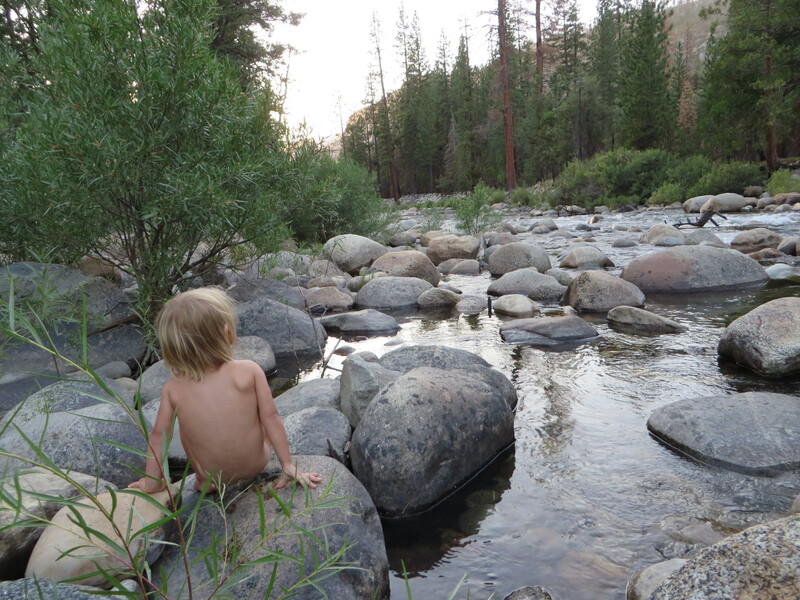 Find as many opportunities as possible to get your little ones in nature. 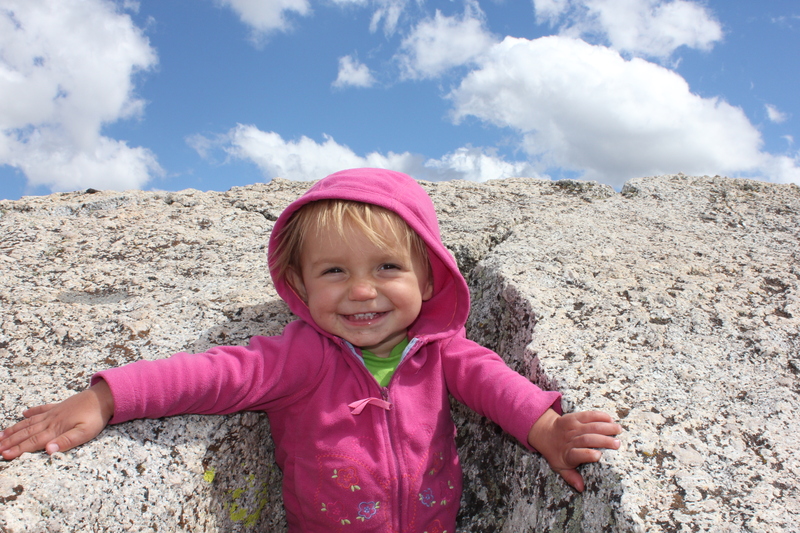 My daughter is her happiest when we are playing in nature. 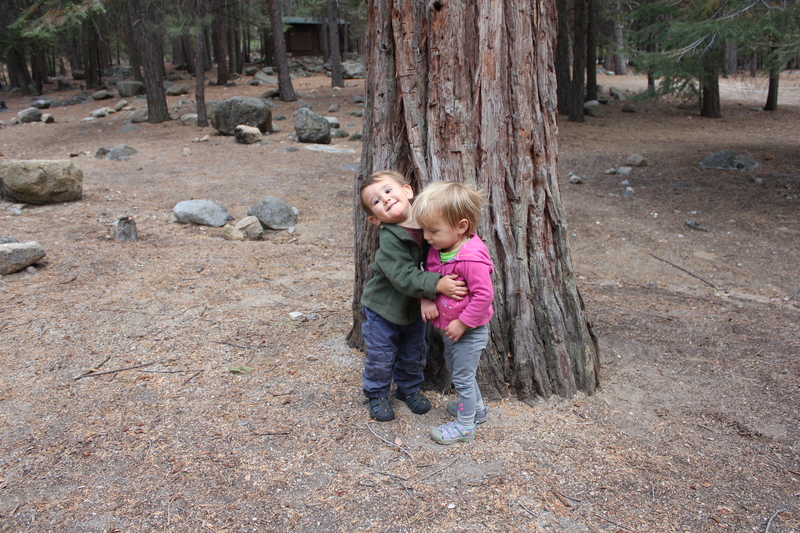 Here she is with Noah, one of her favorite friends to play with. While it can get crowded in the summer, it still feels remote, sits right on the river, and the accessibility to awesome hiking trails cannot be beat. If you can swing it, show up in the middle of August and you’ll have the place to yourself. Cedar Grove is isolated so make sure you bring all your food with you. If you forgot something at home, there is a small market, but their selection is limited so don’t rely on it for all your grocery shopping needs. It’s also bear country so be prepared to remove everything from your car and to make use of the bear bins located at every campsite. As you can see, the campsites are spacious! This one has a trail that leads right down to the river. If you aren’t into camping, (what’s wrong with you?) the Cedar Grove Lodge does have simple rooms with showers so you can still enjoy everything the canyon has to offer without needing to rough it. I do believe the lodge is the only place with showers so if you want to camp, be prepared to swim everyday. But really, is that so bad? Not showering is part of the fun. We all look pretty good. And no one showered! On the way up to lookout peak. 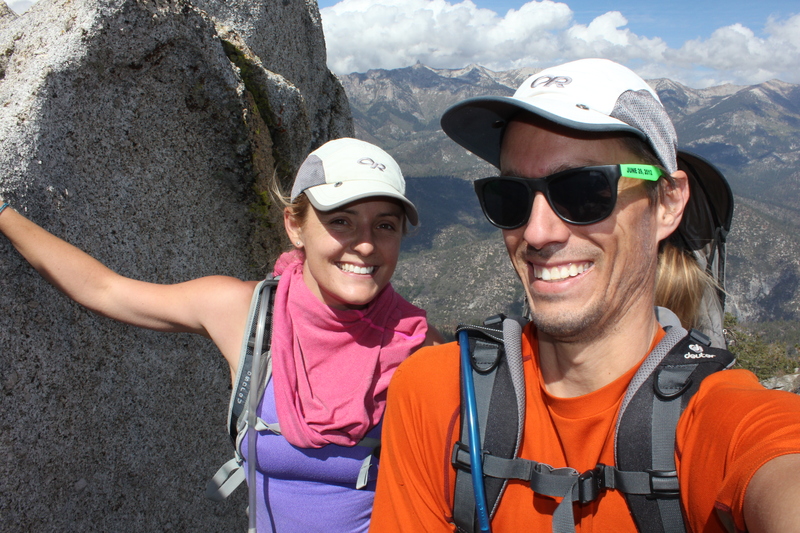 Our favorite and most strenuous hike thus far on the nps day hikes list is called Lookout Peak. 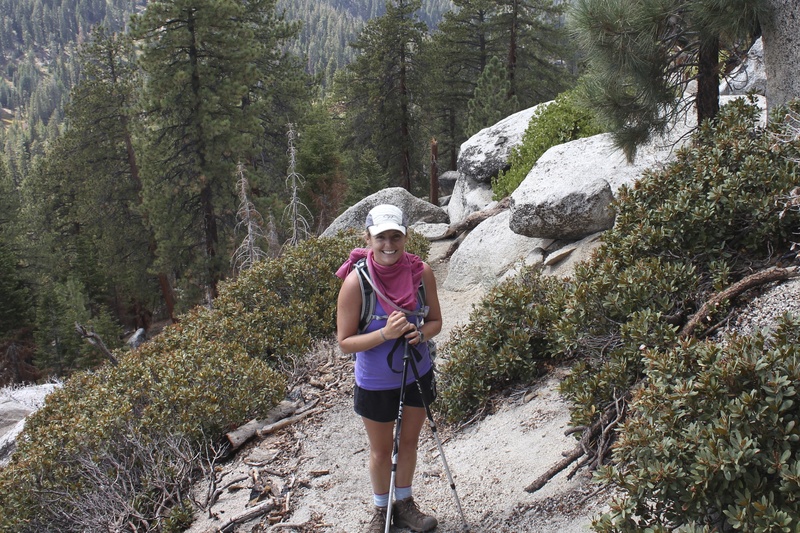 This is an awesome half-day hike (for the serious hiker) full day for slower folks, with a steep elevation gain that will not disappoint those of you looking for a fast and killer workout. Put your kid in the backpack and check it out. The views from the top are some of the best I’ve seen. Once you get to the saddle, the climb to the top is a bit of a scramble. But don’t give up, it’s worth every breath-stealing step! Lookout peak trail. Views from the descent. Another great and more moderate hike is the hike to Mist Falls. The Mist Fall trail mostly meanders through shaded forest beauty but there is one switch back section that will get your heart pumping. The reward for getting your heart pumping. On the trail to Mist Falls. The falls are beautiful but bring your bug spray. In August, the mosquitos were out for the kill! Before you make your hiking plans, visit the Cedar Grove ranger station and pick up a trail map. 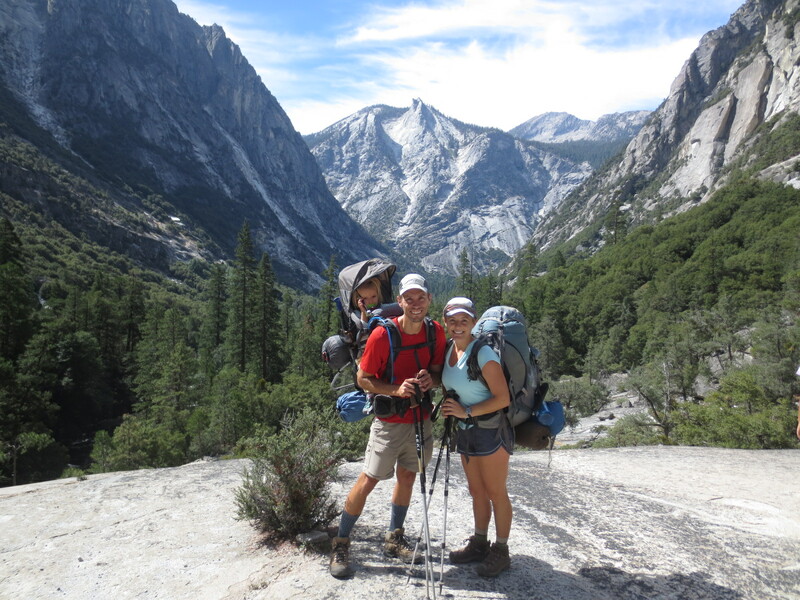 The rangers are very helpful and will make sure you can find the starting location for whatever trail you wish to hike. There is no better happiness than this. 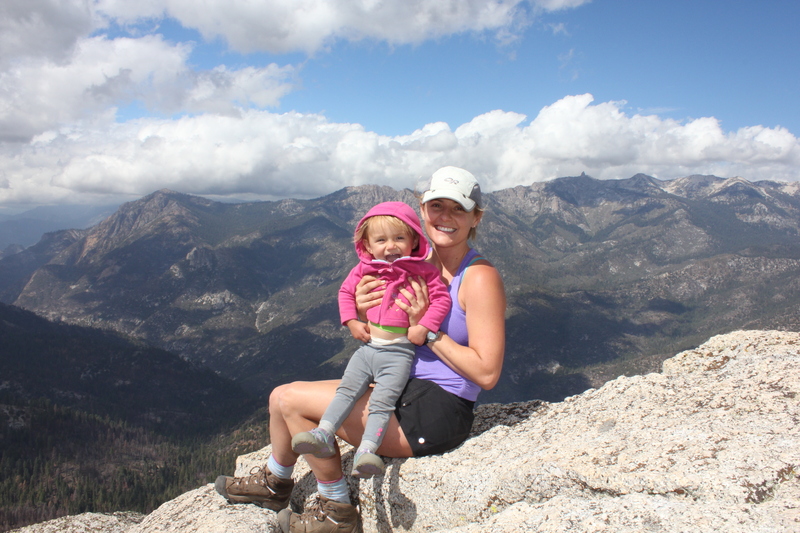 Family time, a workout, and a bagged peak. 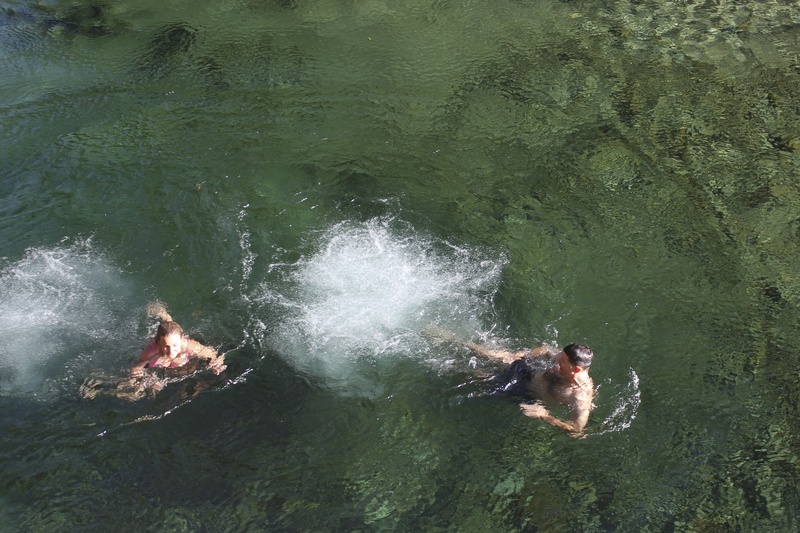 The summers can be very hot in Kings Canyon which makes the fact that it sits right on the river even more appealing. If you are feeling brave, head to roads end and walk toward the water. You will find Muir rock. Bring your bathing suit and jump off. 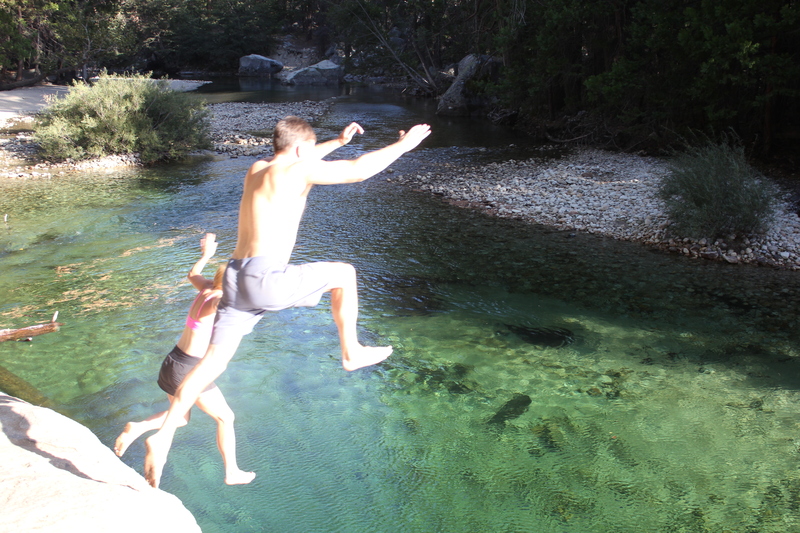 It’s super fun and easy 10 foot jump, but if you don’t want to jump, the area is a great place for swimming and sun-bathing. Don’t forget your bikes. 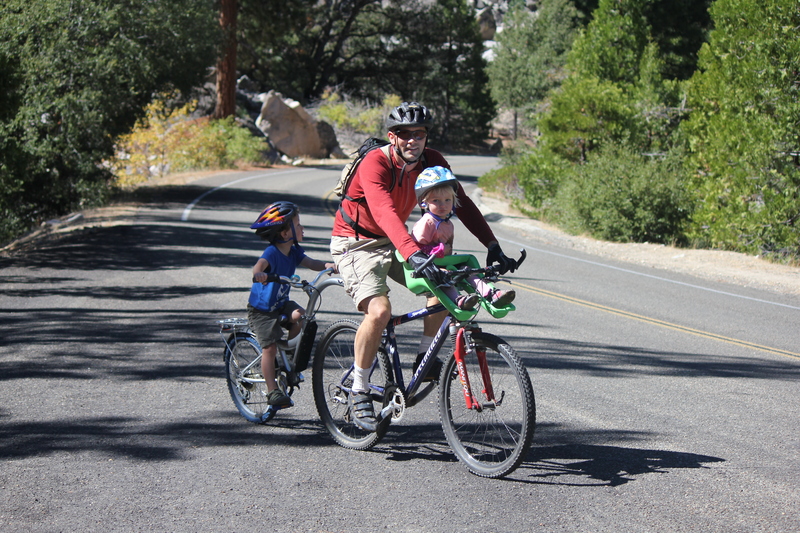 Cedar Grove has a wonderful network of trails for family biking. Sentinel, Sheep Creek, Canyon View, Moraine are the campgrounds in Cedar Grove. They are first come, first serve so try to arrive on a weekday to get the best pick of spots. 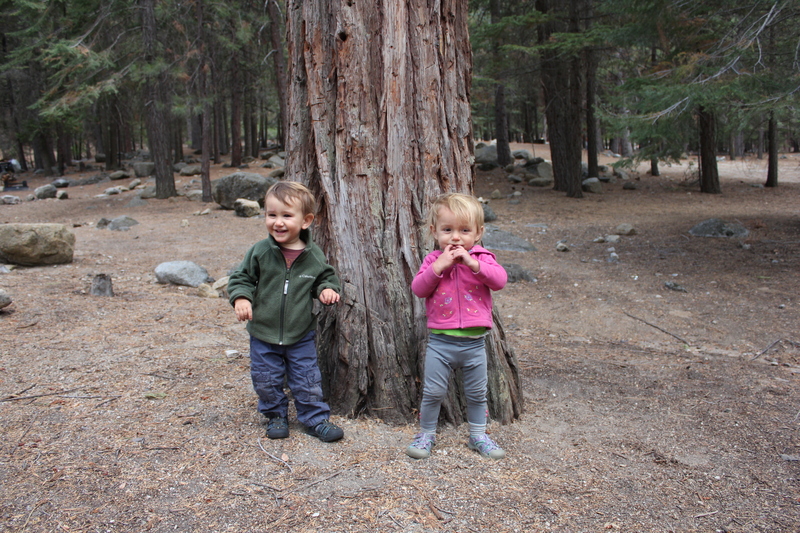 Click here to check out all the campgrounds in the area. Start planning your summer and put Cedar Grove on the list! 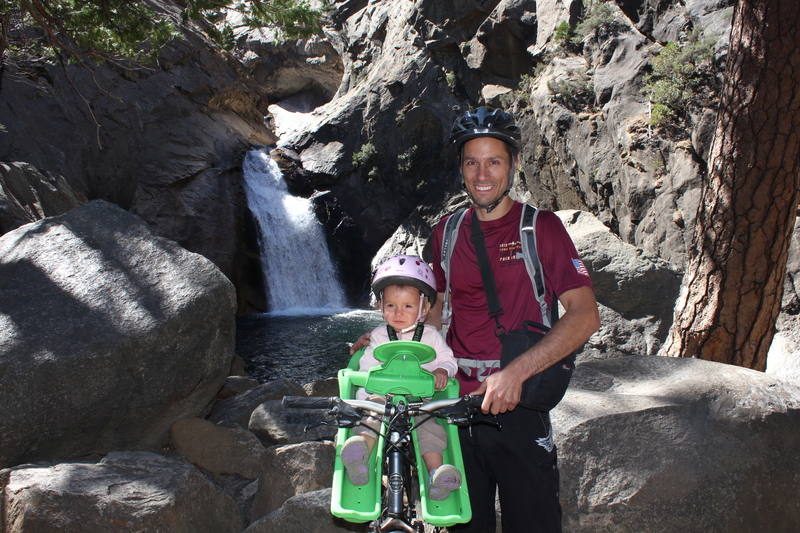 This entry was posted in Camping/Outdoors, hiking, Sierra Mountains, US travel and tagged biking, camping, cedar grove, hiking, Kings Canyon, Kings Canyon National Park, muir rock, Sequoia. Bookmark the permalink.